Anyone who has ever spent time observing wild animals in nature will know that silence is golden. Wildlife tours recommend that people stay quiet in order to see more, but research on Tibetan macaques suggests that high levels of noise from tourists can also lead to more aggressive behaviour. Although wildlife tourism can generate funds for conservation and sustainable work for local people, these benefits may be meaningless if visitors negatively impact animals and their habitats. Is the mere presence of humans off putting to wild animals or does it all have to do with the noise they make? By playing recordings of people talking from speakers in the animals' environment, scientists can observe how wild animals respond to human speech alone. Large canivores such as wild pumas in California and Amazonian bird communities were shown to flee when they heard human voices. Fleeing is useful to escape potentially dangerous situations, but it comes at a cost for animals and tour companies as paying tourists see less wildlife and animals exert themselves. This leaves animals stressed and less able to reproduce and could mean they go hungry if they have to give up food in the area they fled from. Our study found that the wildlife was less likely to flee from humans if speech was quieter. By simply asking people to be as quiet as possible, the full benefits of wildlife tourism to animals and people could be realised. 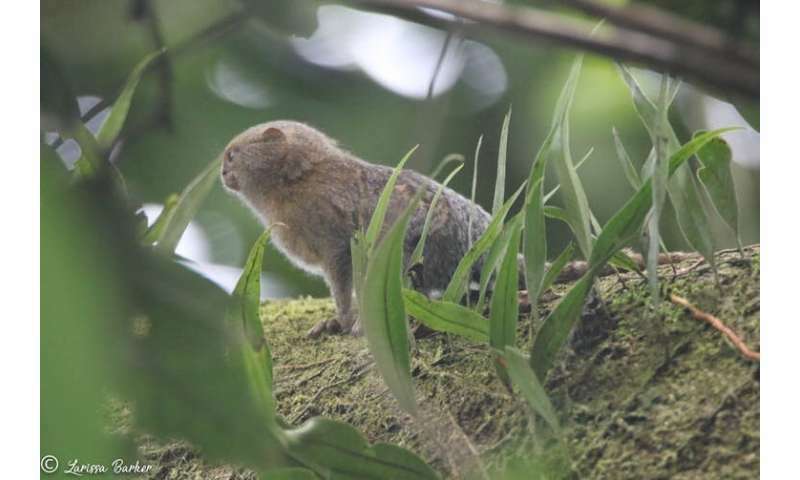 We conducted a playback study with wild pygmy marmosets in the flooded forest of the Peruvian Amazon to see if longer or louder speech was more disruptive to their behaviour. Pygmy marmosets are the world's smallest monkey, and family groups form a small territory around the gum producing trees which they feed on. For each experiment, the behaviour of a single pygmy marmoset in the group was recorded on video for four minutes. Two minutes into the recording, a sound was played from a speaker positioned on a boat. We then categorised the behaviours shown in these videos and compared the behaviour of individuals before and after the playback. When played recordings of human speech, pygmy marmosets fed and rested less and spent more time in an alert posture. These effects were observed at all volumes and durations of human speech but there was no change in their behaviour when humans were present but no voice was played. Like the puma and hoatzin, pygmy marmosets moved away when human speech was played, even at the volume of a whisper. Although the duration of the speech had no effect, the louder the playback the more likely individuals were to move away. As a pygmy marmoset family group can depend on a single feeding tree in their territory, fleeing from these places can have serious consequences. 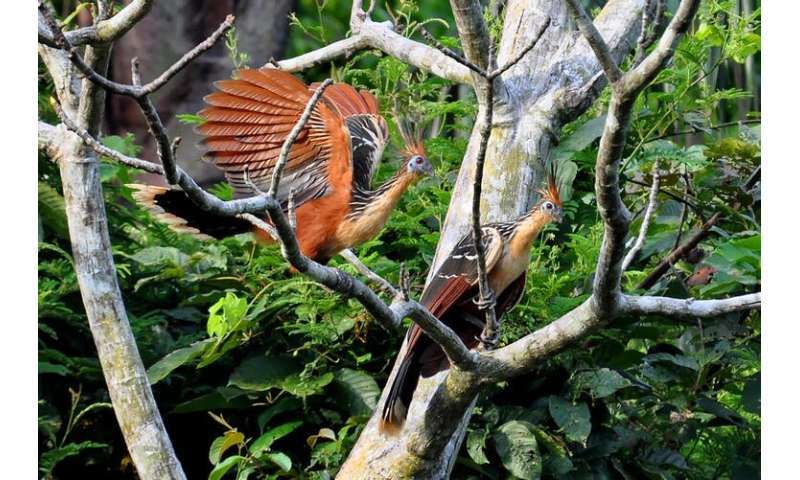 These results were surprising as some of the ten experimental groups were regularly visited by tourists, and two groups were even located in back gardens in a local village. These animals are regularly exposed to humans, but still find human speech – and particularly loud speech – disturbing. 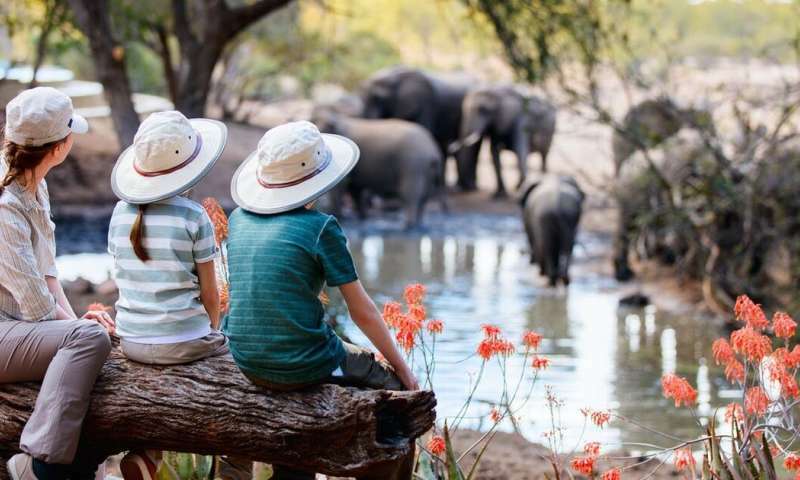 So wildlife tourism can be good for animals and humans if tourists lower their voices – even whispering can disturb animals and may allow tourists little more than a fleeting glance of wildlife.